Aalto is a prototype of a modern bottom-6 centerman. He is a good skater and has very good work ethic. Aalto has a long reach that he uses well when protecting the puck, also in high speeds. His defensive awereness is good. He positions himself well in the defensive zone and can cut passes effectively. Offensively his vision seems to be quite limited, and projects to be a checking line player in the future. 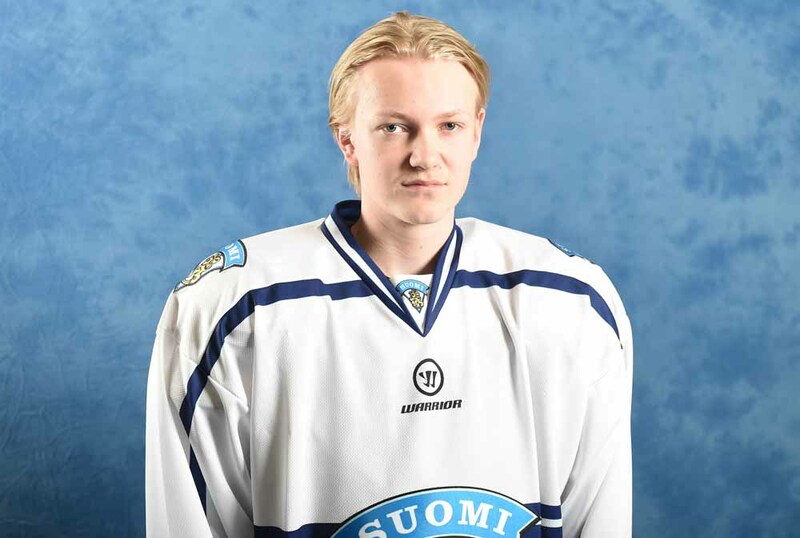 Santeri Aalto is a center whose biggest assets are his size and speed. When he is skating with the puck, it is difficult to get the puck away from him. Other than that his offensive skills are somewhat limited and he seems to lose majority of his faceoffs. Young forward could be more active in front of both nets since he often seems to go to the perimeter. He could also utilize his size more than he does now. At the own end Aalto is reliable and he sees time on ice while his team plays short-handed even though he could show more grit than he does now.